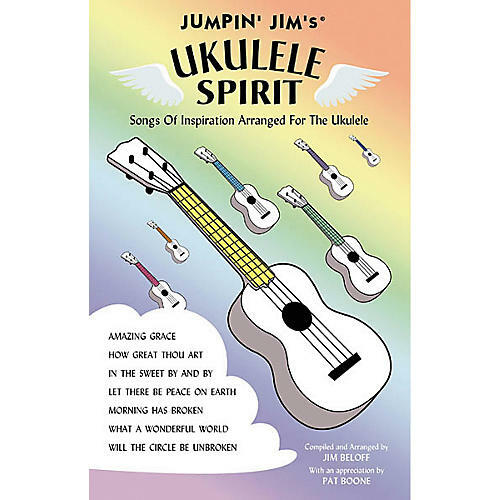 This unique songbook is a collection of 40 great hymns, spirituals and songs of faith, hope and inspiration arranged for the ukulele. Performed alone or with a group, these pieces are easy to play, fun to sing, and sure to raise your spirits! The music book includes motivational favorites such as: "Amazing Grace," "Amen," "Dona Nobis Pacem," "How Great Thou Art," "In the Sweet By and By," "Let There Be Peace on Earth," "Morning Has Broken," "What a Wonderful World," "Will the Circle Be Unbroken," and dozens more, plus an appreciation by Pat Boone.